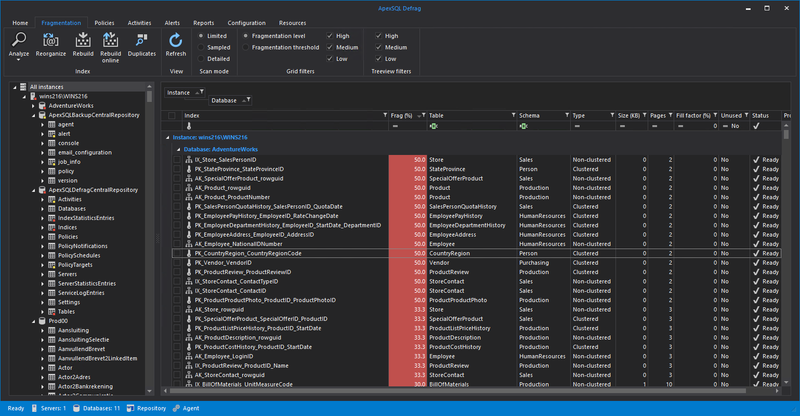 Upon starting ApexSQL Defrag, we are greeted with the main grid with indexes and their appropriate information, such as fragmentation, to which table they belong, schema they belong to, type, size and other relevant information. 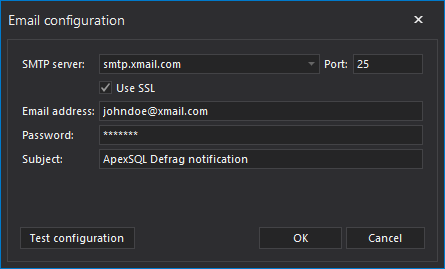 ApexSQL Defrag consists of a couple of tabs in the main ribbon, each suited for its specified purpose. 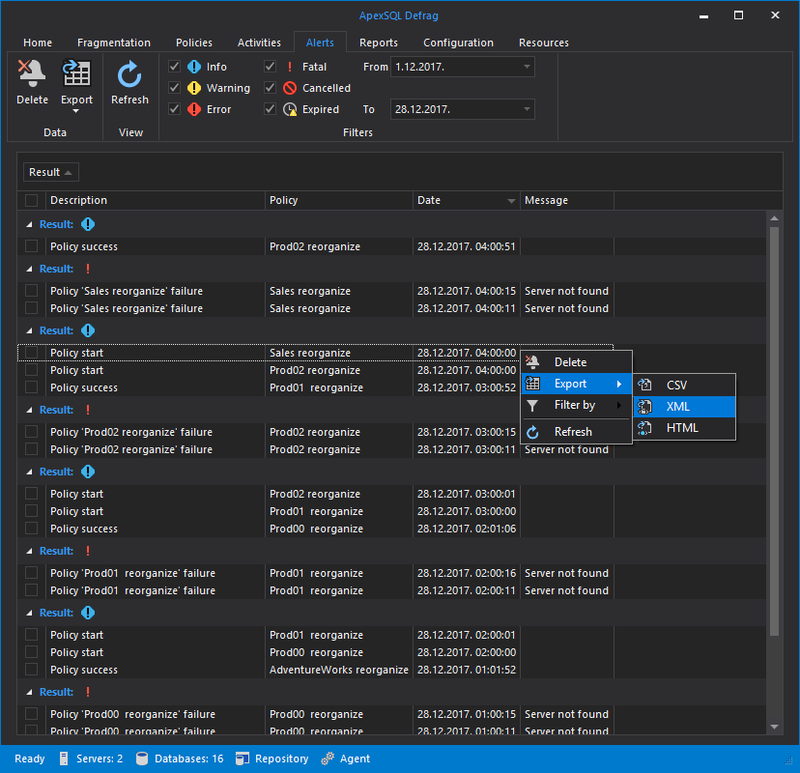 Here the user can view all of the indexes sorted by fragmentation in descending order by default, as well group the view by one or more of the available columns for a more organized view, as well as perform actions upon selected indexes. 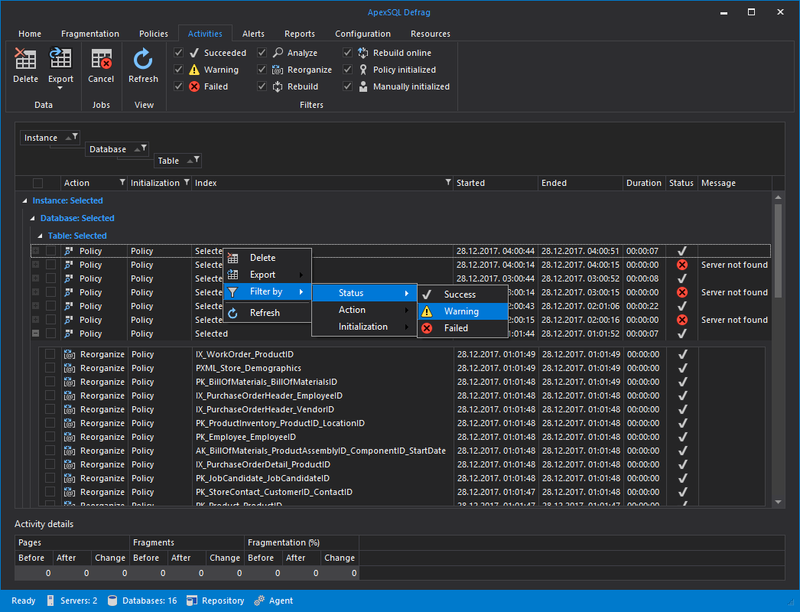 From the Policies tab, the user can start a policy creation dialog. 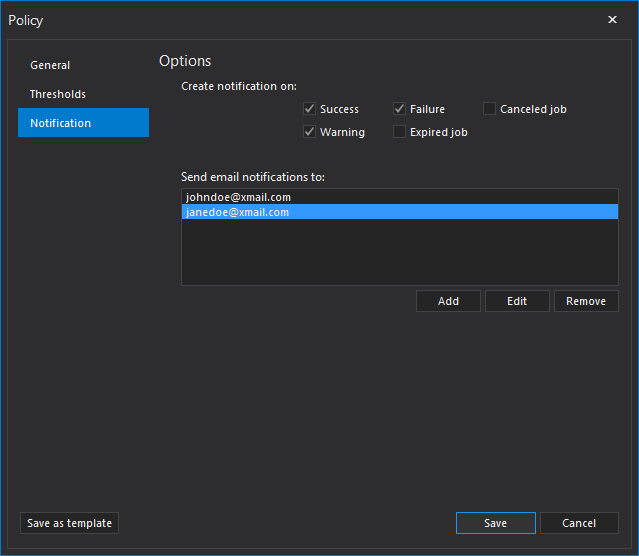 To be able to send notifications, the user must first configure the email settings, either from the Options in the Configuration tab of the main window, or when prompted when first creating a policy. 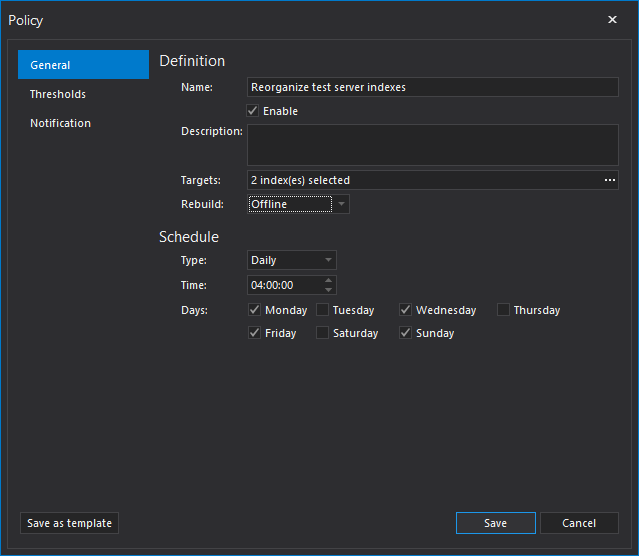 After having set up a couple of policies and letting them run, the activities grid view will populate. We can group the view by any of the available columns and view them. 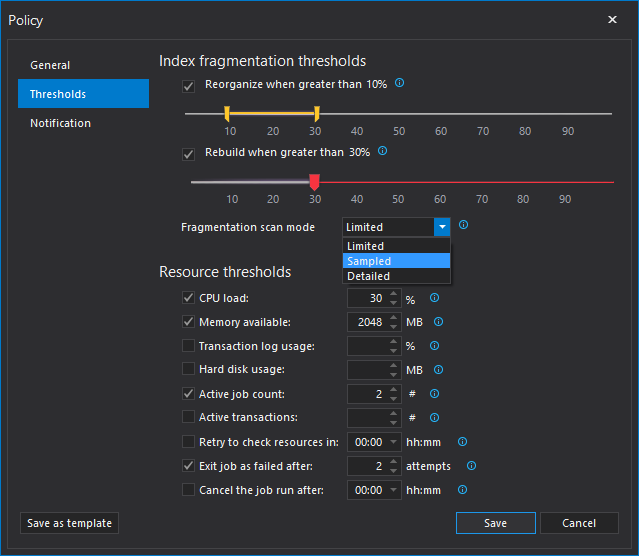 Similarly, as with Activities, the user can also view all alerts thrown while performing index defragmentation, whether manually or by scheduled policies. 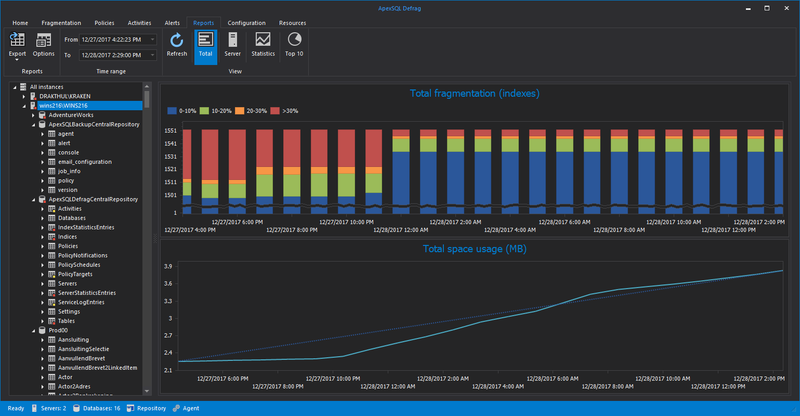 The reports tab shows us insight as to how the fragmentation and space occupied for the selected object in the treeview explorer has changed over time, with trendlines for predicting future changes. 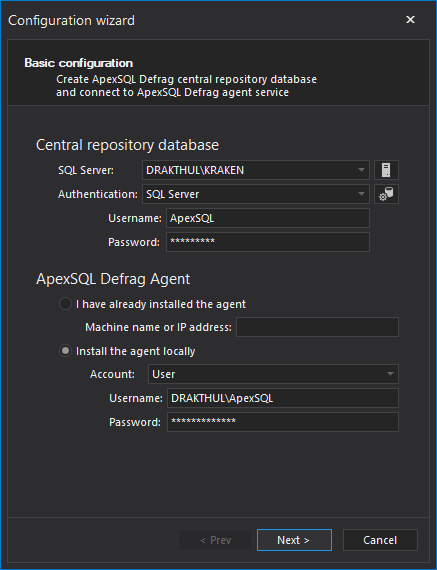 If a user would wish to change the location of the central database repository or reinstall ApexSQL Defrag, it can be done by going to Configuration tab and selecting Run wizard. 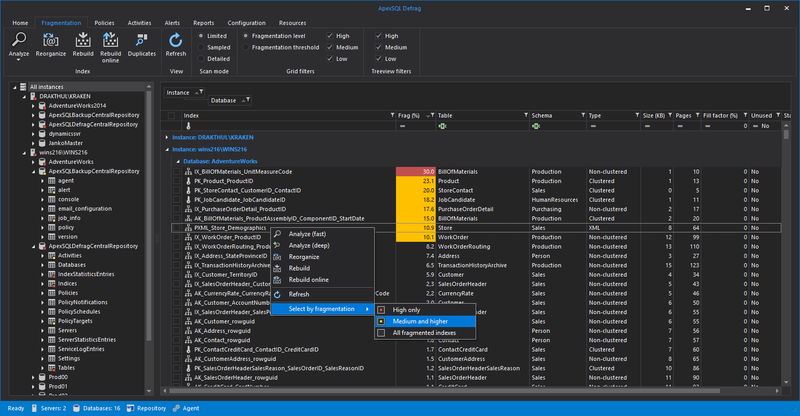 The configuration wizard is also initiated on the first start of ApexSQL Defrag. 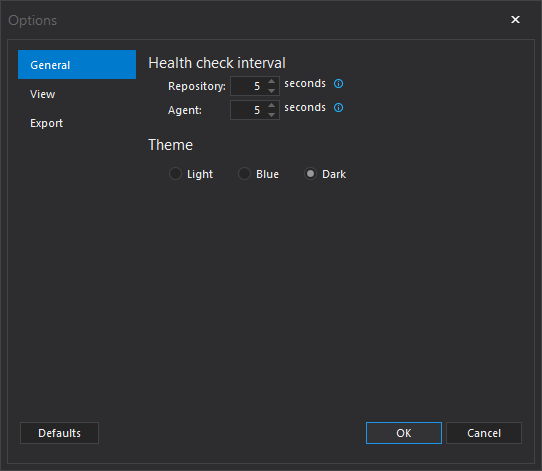 In the Options under the General tab, the user can change the Health check intervals and the theme of the application. 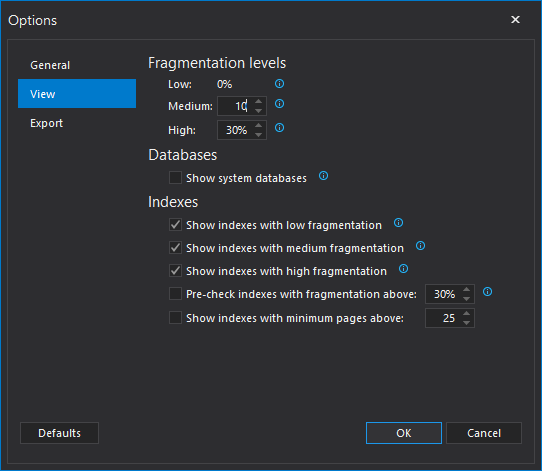 Under View tab, the user can set the percentages of fragmentation for medium and high levels of fragmentation, as well as choose whether to show system databases or not and more. 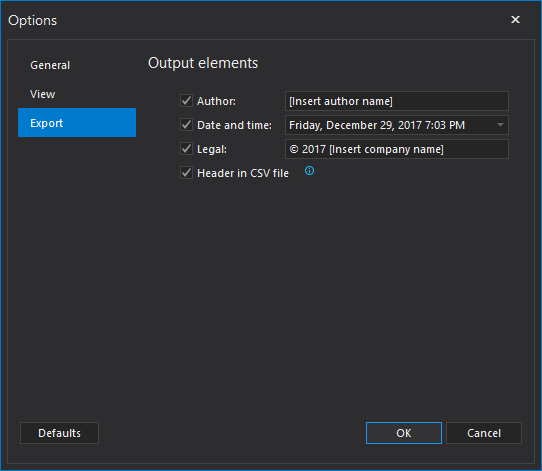 Under Export tab, the user can change some of the output elements contained within the export documents.